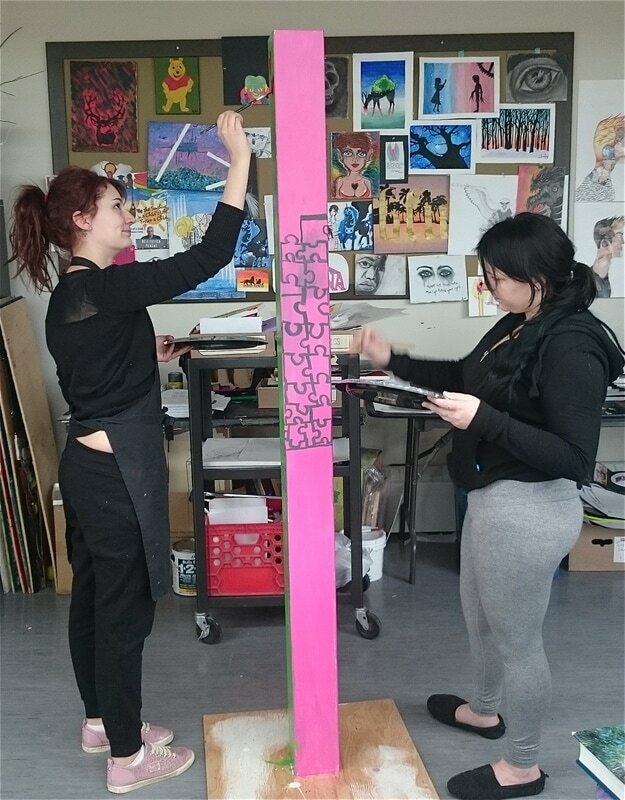 Inner City High School students working on the Peace Pole Project. Gandhi said, “My life is my message.” Today I contemplate the notion that my life is also my creative medium. 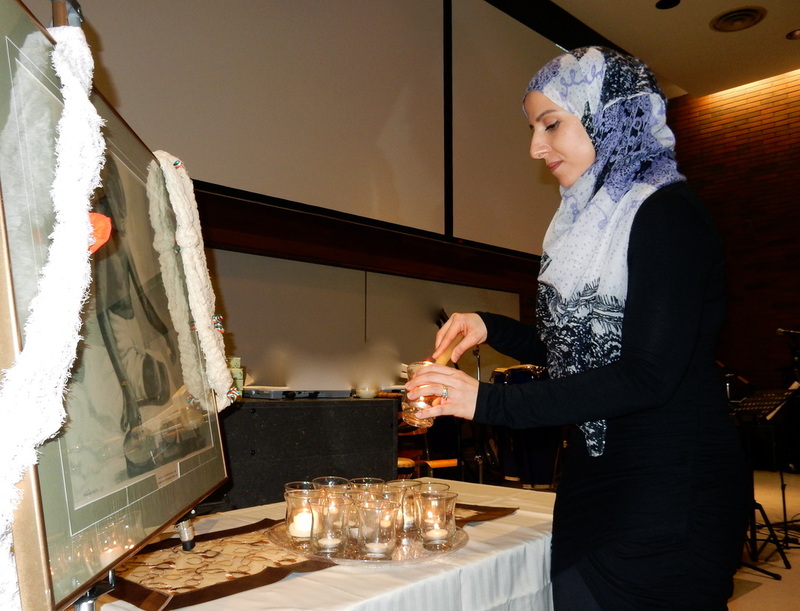 Foundation Member Muna Saleh lighting a peace candle at the 2015 Memorial evening. Reflect on what you are creating in your life today by identifying at least five ways in which you can express your creativity joyously. Today, allow something unpredictable and joyous to be expressed through you. Create something that expresses your feelings about nonviolence. 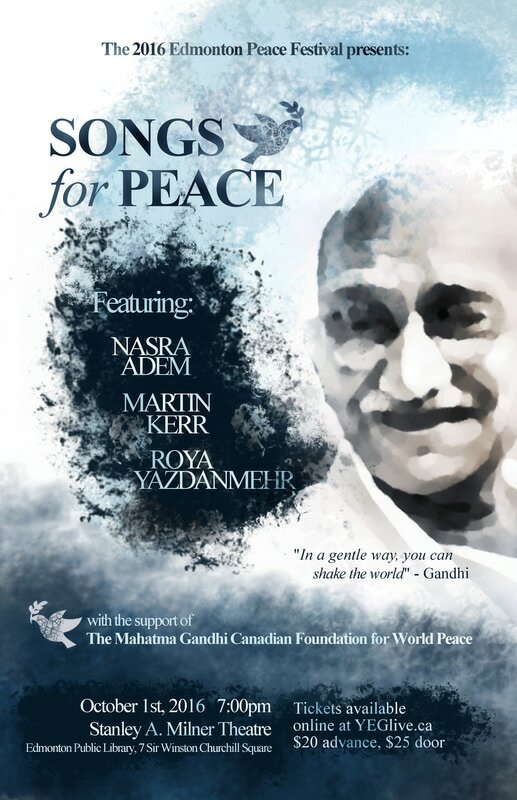 Edmonton Peace Festival Concert poster, "Songs for Peace". Every day we are creative without even realizing it. We put on make-up, or do our hair, or scribble on our homework while not listening to our teachers. Today take some time to intentionally create something – a song, a poem, a video about peace and share it with others. Create a song, a dance, a story or a picture about peace. Share it with someone. Inspirational Video: "The Importance of Creativity"